Off to a good start, it would seem. What next? rekard is currently immune to the maul. sphenodont wrote: Well, as it turns out, Sniper ended up being part of a three-person 3-vote tie after all. Lemme write this up. I should go back and recover your original predictions. It'd be interesting to see what might've been. RaveBomb wrote: I don't have a stake in tomorrows lynch for the Trust Fund Kid. If you do, help me back Snake, and I'll help you tomorrow for your TFK. I don't really think I need to do anything with it. I was starting to worry about stigmata. 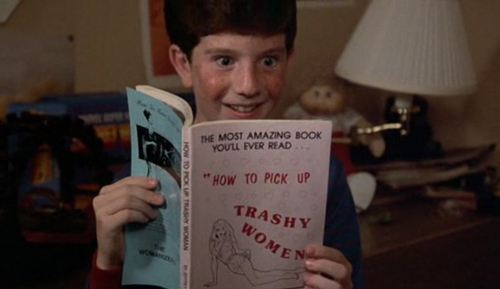 He'd always been a bit of an odd kid, but as of late he's taken to reading questionable material instead of playing games like regular kids his age. MyOwnExpiredPredictions wrote: Contract Assassin - I always knew there was something shady about Aldax. Clearly he's going on this vacation to lay low and avoid the attention his latest job stirred up! (( Hellheart's response to my PM yesterday was an RP-based stonewall. Trying That PJ today. If he takes the bait I'd ask that we not maul him tonight, for obvious reasons. Yup. I guess that the nice thing about this game is that potential Psychics will eventually have to put themselves at significant risk of being outed. Unless there's a third faction. That'd make things way more complicated. (( Maul-wise, we should probably avoid taking out Hellheart/PJ/Furin since they might be Psychic candidates. I think we want to delay the resolution of the Psychic as long as possible to minimize the amount of time we have to worry about lining up the correct people for lynch/maul. Ok, so rekard is immune to the maul, and then the second highest is...me? and this is when questions arise: what now? (asking for a maul 101: Final Destination version redux) also as we can't put modifier votes that means AFAIK that I'm the one slated to die next on the maul, right? Nope. You can choose anyone who received a vote other than rekard. The highest vote only counts for immunity purposes. Ok, thanks for the clarification... who shall we send to the natural order today? (( I threw a PM at Omega today, just in case the humans start getting PM tallies and try to piece together who PM'd who. Should be safe to do that type of thing for the next several days as we won't really run the risk of being locked into a maul target until the humans get super-organized. You PMed me? You're so kind. Omega wrote: You PMed me? You're so kind. Aldax, I'd suggest killing rekard with the tiebreak if it's between him and PJ. Soooo many missing votes though, ugh. Well, he's the player who has to drop, so I subconsciously struck him out. Well, so far so good. They're not hunting for you, but that may change before too long.